Vipmart, Granathvägen 6, 79295 Mora, Sweden is responsible as data controller for the processing of your personal data. We will process the personal data that you provide or have provided us with or that we have collected at our websites by way of cookies for the purposes of administering your purchases and fulfilling our obligations to you as our customer. The personal data that Vipmart process in-clude your personal identity number, name, gender, e-mail address, purchase-, payment- and order history, credit card number, delivery address, IP-address and phone number. The data may be used for identification, direct marketing, customer surveys, newsletters and statistics. The data may also be used for sending post, SMS and e-mail to you and for marketing and information via the telephone, unless you have opted out from such communication. You may at any time contact us to opt out against any marketing towards you as customer. Contact us. The data may also be used to analyse purchase habits with the purpose of supplying you with relevant information and marketing and to improve our websites, payment methods and pay-ment processes. Processing for the purpose of improving payment methods and payment processes may include processing where your personal data, inter alia your personal identity number, is transferred to other companies within Vipmart’s and to third party providers to be included in the basis for the analysis. The personal data may therefore be processed together with data in other registers, e.g. registers for credit reports. The use of your personal data may result in data being processed together with data in other registers, both within and outside of the EU, and that your personal data is transferred to, and processed by, other companies within Vipmart’s for the purposes described above in accordance with applicable laws and regulations. The data may also be processed with data from, or shared with, authorities or our partners e.g. 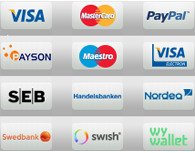 for printing and distribution and third party providers of payment or credit card services. Vipmart always observes the utmost care for such use. If the whole or part of the Vipmart’s business is sold or integrated with another business, your personal data may be provided to our advisors, any potential buyer or the buyer’s advisor and furthermore be provided to the new owner of the business. Vipmart uses Google’s and Facebook’s advertising services. For more information read https://policies.google.com/technologies/partner-sites?hl=en and https://www.facebook.com/business/gdpr. Nailshop (Vipmart) furthermore uses e.g. SSL (Secure Socket Layer) which is a protocol for the safe transfer of data over the Internet (or other networks). As a customer, you need to check that SSL is not turned off in the settings of the web browser. With the purpose of preventing any unauthorized access upon processing you credit card number, one-way codes will be used. How long will my personal data be kept by Vipmart? If you provide your consent to being a registered customer/member with Vipmart, your data will be kept until you deregister. You may at any time deregister from being a customer. If you do not register as a customer/member, your personal data will be kept only for as long as it is necessary to comply with law or in order for Vipmart to fulfil its obligations towards you, e.g. to complete delivery or warranty obligations. Vipmart wants to ensure that your personal data is correct and updated. If any of the data you provide to Vipmart is changed, e.g. if you change your e-mail address, name or payment information or if you want to change your user account, please provide Vipmart with correct details by by sending an e-mail to Nailshop (Vipmart). You are, at all times, entitled to request that your personal data is corrected, blocked or erased.